In this week's Abundance Insider: Mind-controlled cars, age-defying ‘second skin’, and MIT’s $5 billion pledge. What it is: Researchers at Nankai University in Tianjin, China have developed a vehicle for paralyzed or elderly drivers that operates using the driver's thoughts. Reuters reports that the car can drive forward, in reverse, brake, and lock or unlock its doors -- all thanks to an EEG headset with 16 sensors that translate brain signals into discrete instructions. The researchers are quick to note that the car won't crash if you lose your focus: you just need to concentrate when you want to change the vehicle's actions, which, as the Telegraph describes, "[is] something you do unconsciously anyway." Why it's important: Professor Duan Feng says his technology helps cars -- autonomous or otherwise -- serve people better. His goal is to ultimately integrate this technology with driverless cars as a complementary interface, which opens up exciting possibilities. Imagine holding a business meeting in the back of your autonomous car, and recommending solely through focused thoughts that the car take a different route or decelerate so that you have more time to close the deal. What it is: This week, Siri co-founder and CEO Dag Kittlaus demoed Viv, a new artificial intelligence-powered voice assistant that he hopes will be "the intelligent interface for everything." Check out the demo video at this link to see Viv's natural language interface in action; one feature we're excited about is the so-called "stackability" of inquiries, meaning that Viv can remember conversational context and handle follow-up questions in real time. Why it's important: The Siri team has already proven that it knows how to anticipate the future, and with Viv, Kittlaus repeats the feat with a focus on creating an easy interface for developers. Its dynamic program generation can, as TechCrunch describes, "understand intent and generate a program itself to best answer the query." Kittlaus describes the benefits further: "Instead of having to write every code instructed, you're really just describing what you want it to do. The whole idea of Viv is that developers can go in and build any experience that they want." What it is: Here's an impressive development in robotic surgery: the Smart Tissue Autonomous Robot, or STAR, has just taken an impressive step forward in the field of soft tissue surgery and stitch application. After SMART was taught to stitch soft tissue together with a needle and thread, its skills were tested with living pigs; as MIT Technology Review reports, "[SMART] proved capable of outperforming its teachers." The goal with SMART isn't to replace human surgeons entirely -- a surgeon is still observing the robot's work and can take over at any time -- but to improve patient outcomes and reduce complications associated with surgery. Why it's important: In the U.S. alone, over 45 million soft tissue surgeries are performed each year -- and we don't currently have a robotic surgical system that can manipulate soft tissue. The researchers' next step is to enable SMART to teach itself through observing expert human surgeons, so that hospitals can deploy their surgical robots more efficiently. What it is: Imagine "painting" an invisible film made of commonly used, nontoxic ingredients onto your face that makes under-eye bags and wrinkles disappear like magic. That's exactly what scientists at MIT and Harvard are working on, using siloxane polymers as a base -- and in a recent test of 170 subjects, no one reported allergic reactions or irritations. Biotechnology company Living Proof funded the research, while Olivo Laboratories owns the patents. Why it's important: This materials science development is set up for major industry disruption. By 2018, it's projected that the global skin care industry will reach $121 billion in 2016, and anti-aging products comprise a significant portion of that industry. (In fact, in 2014, Procter & Gamble's Olay Regenerist, an anti-aging brand, was the No. 1 skincare brand in the U.S.) But this technology isn't just for treating wrinkles and age spots without makeup -- the researchers see it as a breakthrough treatment for skin conditions like psoriasis and eczema. 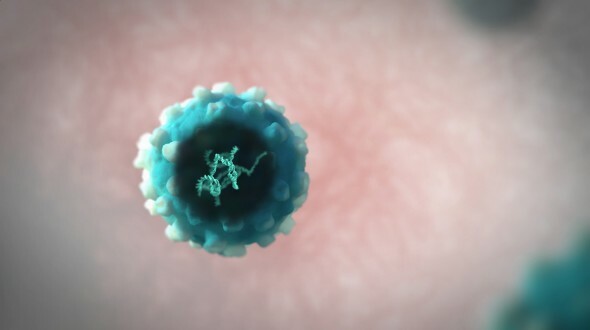 What it is: Strimvelis, a treatment pending approval in Europe, will soon become "the first commercial gene therapy to provide an outright cure for a deadly disease," as MIT Technology Review reports. The treatment is for a rare disease called severe combined immunodeficiency (sometimes called "Bubble Boy" disease) and has been tested on 18 children over the past 15 years. All of the children who received the treatment are still alive. GlaxoSmithKline, which owns Strimvelis, plans to seek approval in the U.S. next year. Why it's important: If Strimvelis is successful, it could usher in a new wave of treatment: instead of heading to the pharmacy for ongoing medication, patients could opt for one-time gene fixes. What it is: Undercover cops now have a new secret weapon: a Ford Fusion that University of North Texas students have loaded with computers and sensors, enabling it to detect "unique chemical signatures up to a quarter-mile away and determine their point of origin within 15 feet [...] silently, and with complete discretion," as Digital Trends reports. "The car could just drive by it and keep moving down the road," said UNT's Guido Verbeck to CBS DFW. "It'll alert the officers there's something going on at the house, and where the location is." Why it's important: This device is more evidence that privacy as we know it is dead -- but also offers tremendously positive applications for law enforcement, counterterrorism, travel safety, healthcare, emergency response, and any space where security is a primary concern. 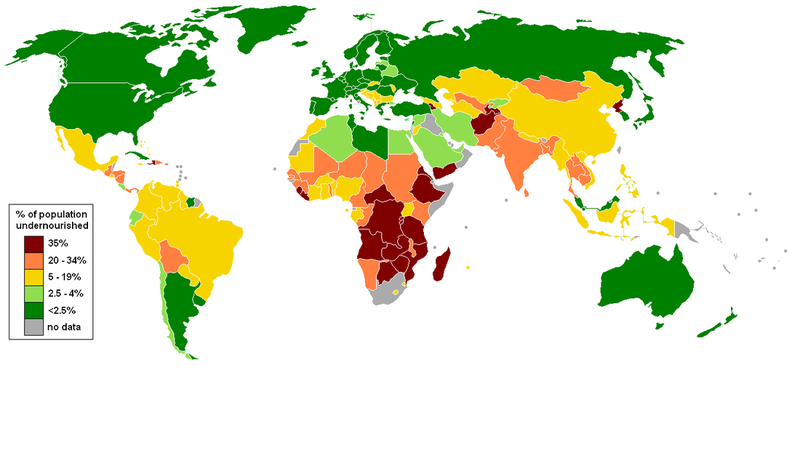 What it is: The International Food Policy Institute's Global Hunger Index reveals some surprising and positive trends: global hunger is at "historic lows," and at the same time, the number of worldwide democracies has been at a "historic peak" since at least 2005. This article cites Ethiopia as a prime example: "Although the country is in the middle of yet another brutal drought, it's no longer leading to deaths from starvation... Ethiopia is no longer in the middle of a decades-long civil war, and the government has relief programs to fend off widespread famine." Why it's important: The world is getting better by nearly every measure. This research represents more data proving that we're no longer in an era where famine would kill hundreds of thousands of people -- and that this decline in world hunger coincides with democracies increasing all over the world. 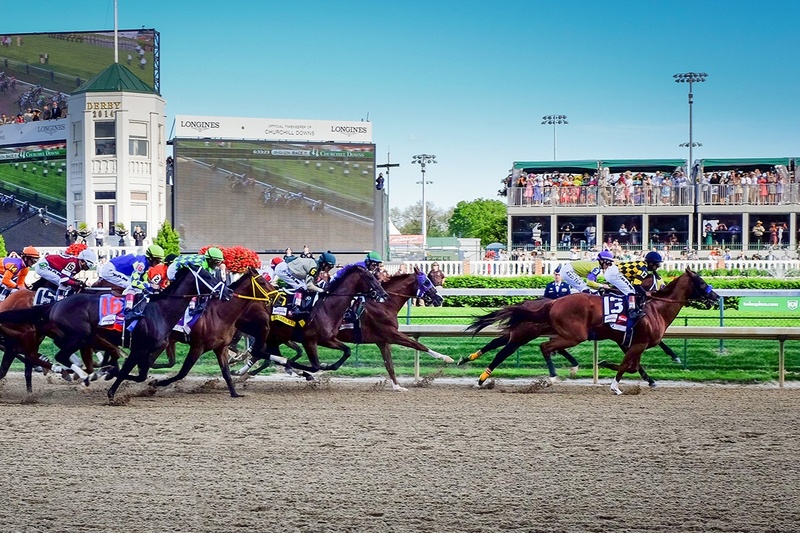 What it is: Can a swarm-inspired artificial intelligence system beat 20 "knowledgeable Kentucky Derby fans" at predicting the top four finishers? Unanimous AI's UNU system did exactly this, beating 540-to-1 odds with its approach. "Personally, I was speechless," said Unanimous AI CEO Louis Rosenberg in a press release. "While the Swarm AI got the picks perfect, not a single individual who participated in the swarm got the picks right on their own -- not one." Since its 2014 inception, the AI system has also correctly predicted Oscar winners and Super Bowl winners, again outperforming human experts in the process. Why it's important: Swarm intelligence uses groups to inform its choices -- in the wild, we see this in the behavior of birds, ants and bees. Unanimous AI proves that this approach is also successful in an artificial intelligence setting, with powerful implications on how machines might learn in the future. What it is: Gladstone Institutes scientists have created a nine-chemical cocktail that replicates the natural regeneration behavior of animals like salamanders and newts, enabling them to turn skin cells into heart or brain cells without the use of external genes. Previously, initiating regeneration behavior was only possible by introducing external genes to the cells, making the Gladstone researchers' technique far more reliable and efficient (and less controversial). Why it's important: One day, we might be able just use drugs to reprogram damaged or lost cells to regenerate themselves, completely independent of advancements made in genetic engineering and stem cell therapy. Describes Gladstone senior investigator Sheng Ding, Ph.D., "Our hope is to one day treat diseases like heart failure or Parkinson's disease with drugs that help the heart and brain regenerate damaged areas from their own existing tissue cells." What it is: This week, MIT announced the Campaign for a Better World, a $5 billion "comprehensive fundraising initiative that will amplify the Institute's distinctive strength in education, research and innovation, and will advance MIT's work on some of the world's biggest challenges." The campaign has six major areas: Discovery Science, Health of the Planet, Human Health, Innovation and Entrepreneurship, the MIT Core, and Teaching, Learning and Living. Why it's important: Billion-person problems are billion-dollar opportunities. MIT has publicly declared its mission to attack some of humanity's biggest challenges -- and we expect this campaign to attract top-tier talent, ambitious ideas, and ultimately world-changing breakthroughs. Is this a model that other elite universities should emulate? What it is: This week, Hyperloop Technologies announced its new name, Hyperloop One, and conducted the first open-air test of its propulsion system. Other big announcements from Hyperloop One this week: it's raised $80 million in venture capital, it's poised to create a new global challenge to inspire innovators to make Hyperloop real, and it's forged several partnerships with "established transportation, engineering and infrastructure firms." Why it's important: Hyperloop One's audacious mission -- dare we call it a "crazy idea" that will either lead to a breakthrough or a bust -- is one we're following with interest. This week's demo and announcements indicate that the Hyperloop train has no signs of stopping.